Indian cricketer Virat Kohli and Bollywood actress Anushka Sharma on Monday officially announced their marriage. "Today we have promised each other to be bound in love for ever. We are truly blessed to share the news with you. This beautiful day will be made more special with the love and support of our family of fans and well wishers. Thank you for being such an important part of our journey," both Virat and Anushka wrote on their Twitter accounts. 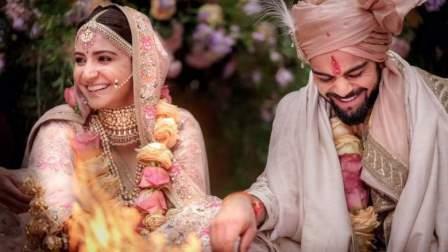 News of the impending wedding started doing rounds when Kohli pulled out of India's limited-overs matches against Sri Lanka and Anushka also ducked out of her busy acting schedule in December. Kohli is one of the world's highest paid athletes and a huge star in cricket-crazy India, and Anushka is one of the top actresses in the multi-billion-dollar Indian film industry.